This is my pet project of sorts. 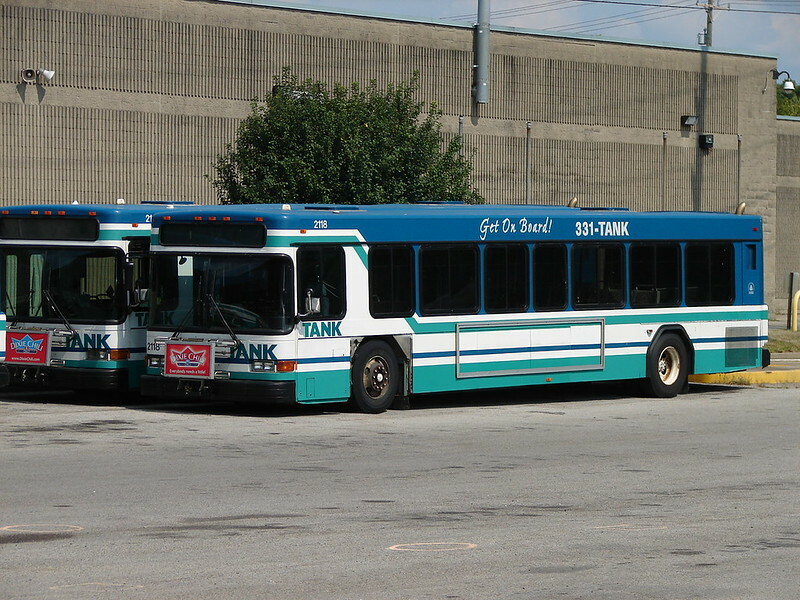 TANK (Northern Kentucky) has been phasing out its 2000 Gillig Advantages in recent times. Thought I'd post the whereabouts of each, to the best of my knowledge. Whoever contributed the fleet information to Wikipedia (probably Darius Pinkston) states that 2116 through 2127 are retired. 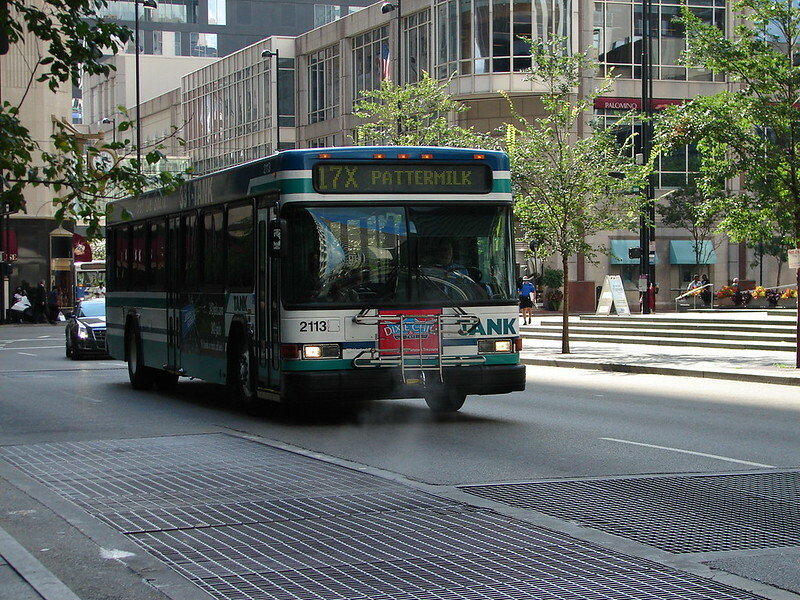 MidWest Bus has a few pictures of ex-TANK buses on their site that I couldn't discern the numbers on, and some with no picture at all. I am assuming that these fill the gaps in numbers 2116 through 2127. 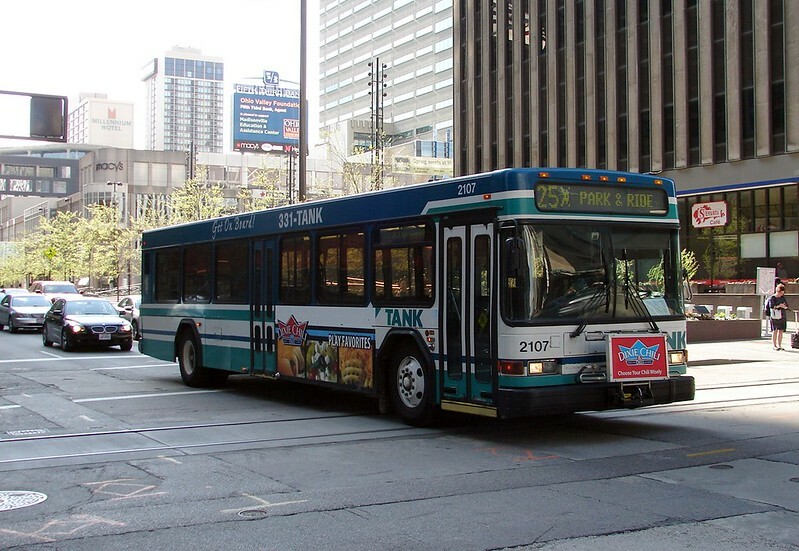 Notably, some ex-TANK buses have vanished from the site in the past year or two - hopefully they have been sold to another operator and not scrapped. 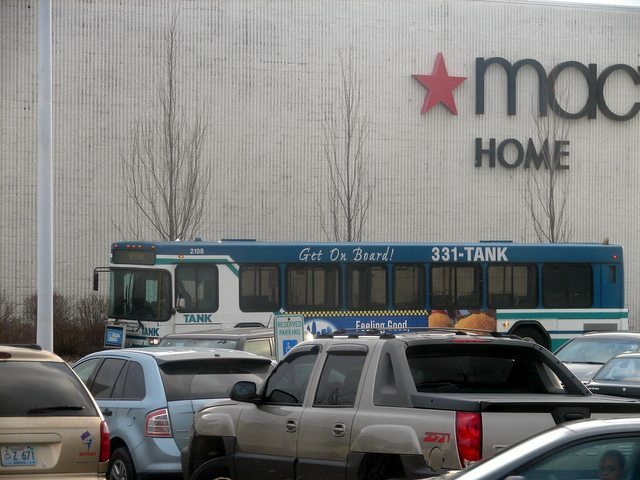 - Still in the dead line at TANK shops as of 3/17/15. TANK branding and name have been removed. - In dead line at TANK shops. All TANK branding removed as of 3/17/15. 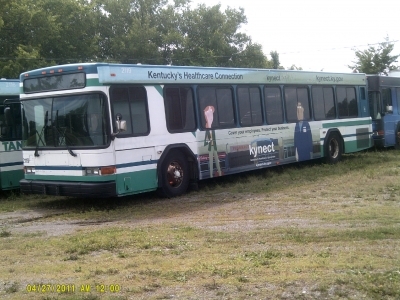 Retired, heading to MidWest Bus. 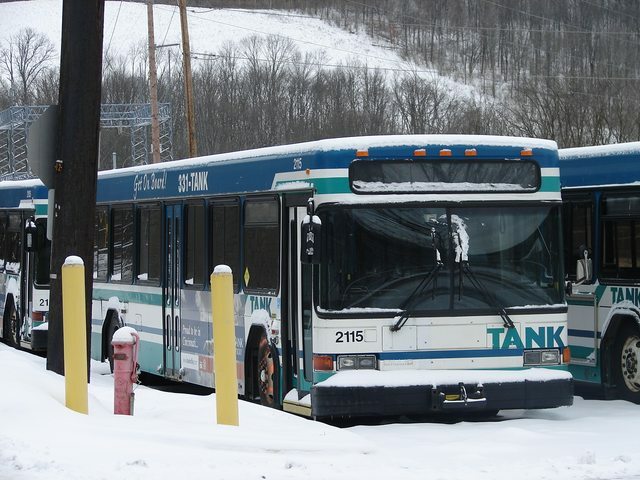 - Was parked at the side of the TANK shops during winter 2014/15 with engine cover open. 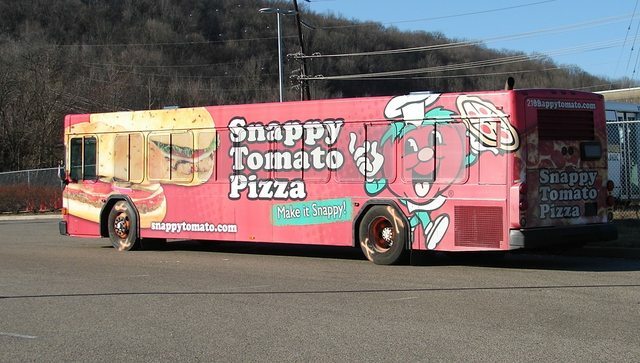 Now parked in the park-n-ride lot adjacent to the shops. 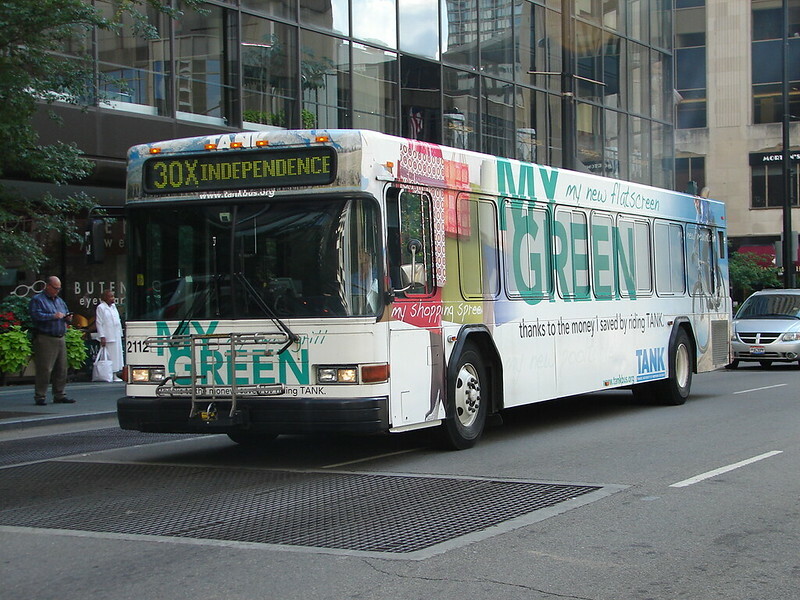 Retired and heading to MidWest Bus. - In Ft. Wright dead line. Retired as of 3/7/15, TANK branding removed as of 3/17/15. 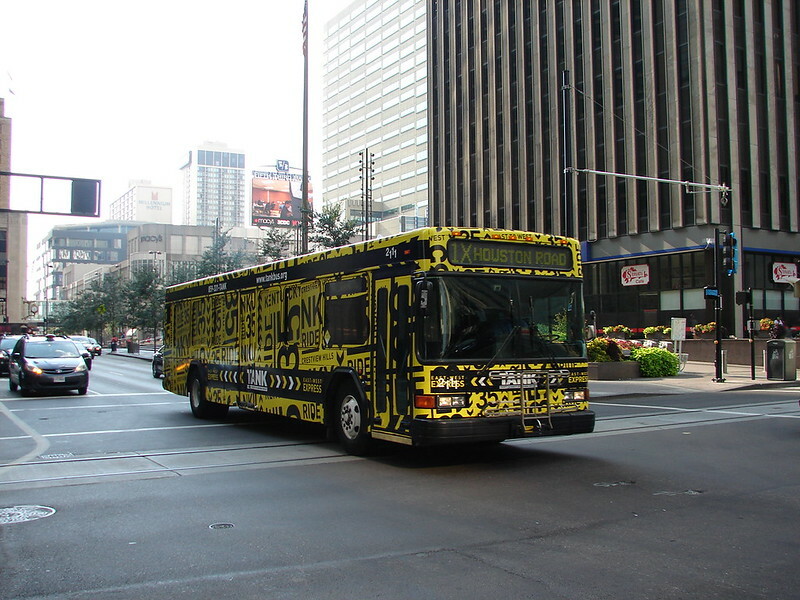 Heading to MidWest Bus. Peter, first welcome to the forum. 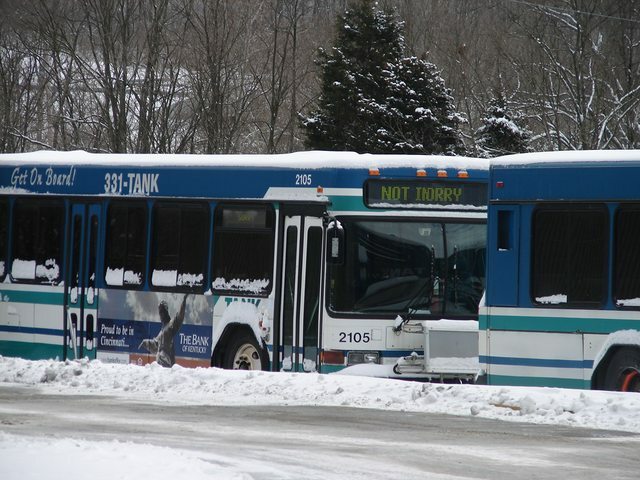 I am curious as to when those buses were purchased. 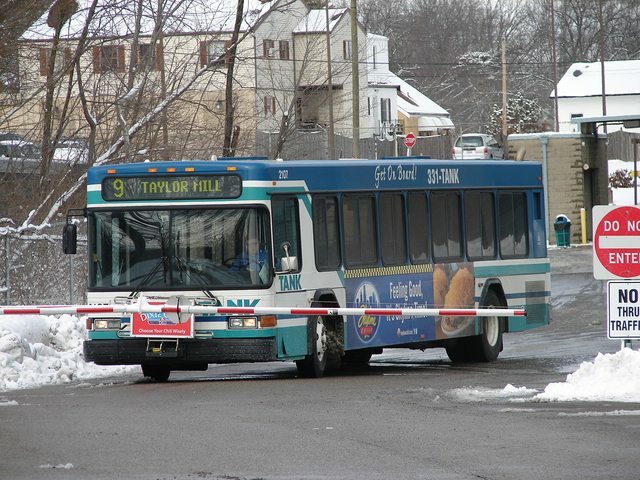 When most service was provided by private operators, buses were kept running for up to 20 years or so. Now that most are government operations the fleet seems to get replaced every couple of years. 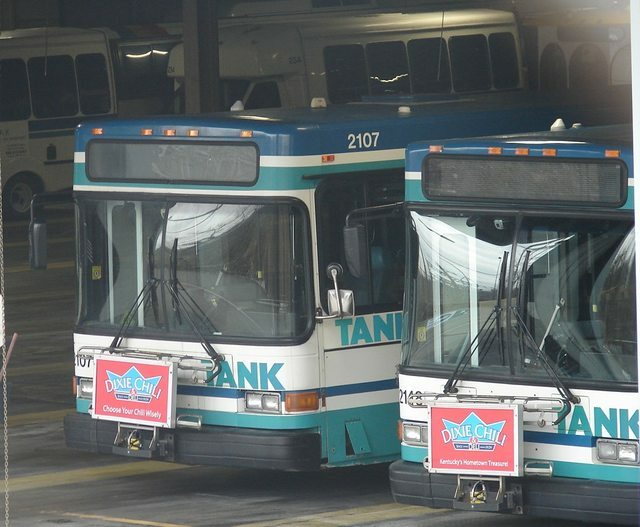 These buses were brand-new to TANK in their respective model years. 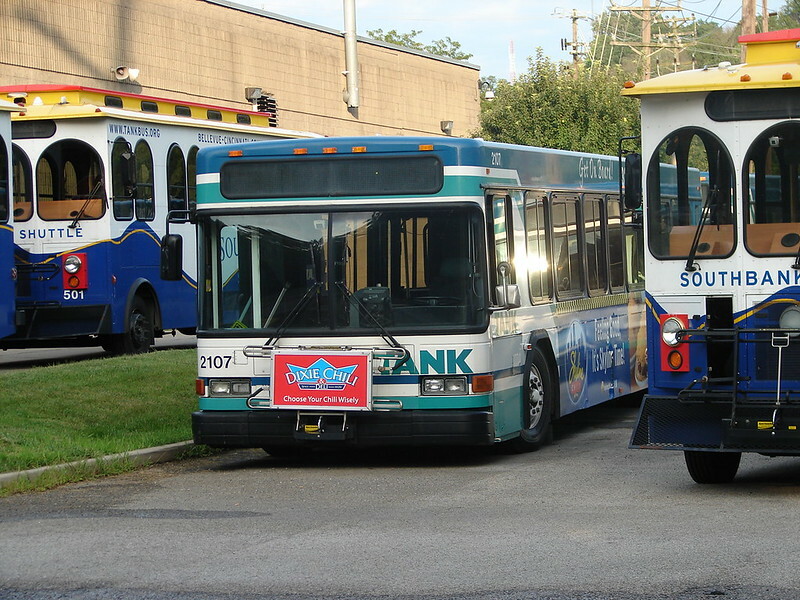 With many newer Advantages coming into the fleet, TANK is basically running these older ones until they die. It's a shame that I seem to have missed the days of diversity in the TANK fleet. In late 2007, they had five '99 Orions, three '93 Flxibles, and plenty of '95 Phantoms and '98 Advantages (some of the latter are also at MWB). Must have been fun to keep track of, much less maintain. 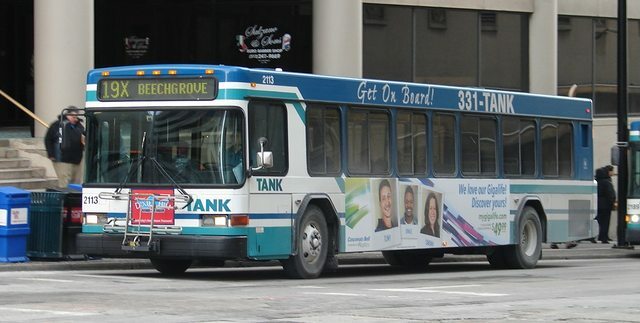 TANK used buses are in demand. They are well-maintained and kept very clean while in service, and command top dollar when auctioned. Not surprised by that - even these retired ones are in excellent condition. 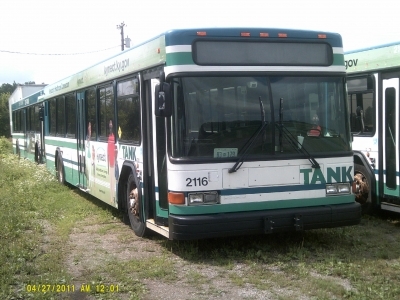 Do you happen to know where any ex-TANK buses have headed after the auction block? 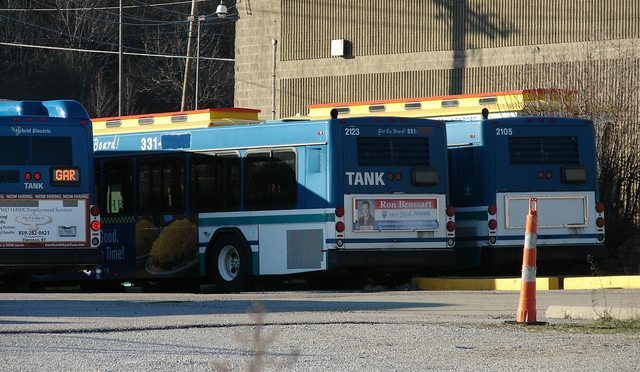 I'm not sure how often MidWest Bus updates their inventory, but it appears that some of TANK's old Phantoms are still up for offer. 2111 is still alive and well. 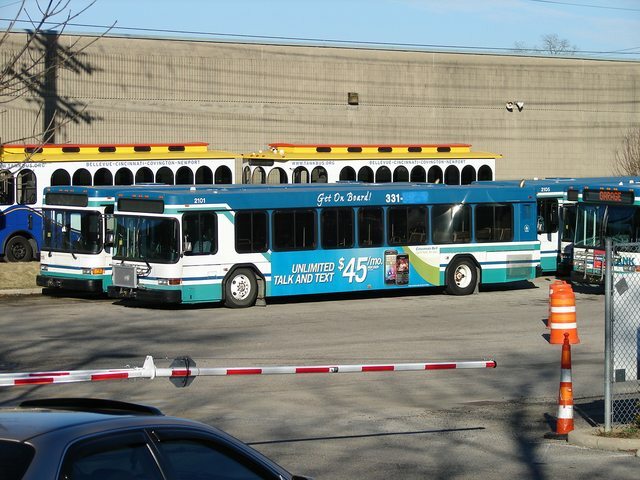 It has been wearing this wrap since the publicity campaign for the 35X route was introduced last year (along with another newer model whose number I can't remember). Incidentally, this is the first time I've ever seen an Advantage old enough to have flip-dot displays serving the NKU Shuttle route. 2112 has had this wrap on for a while, but it eluded me until recently. Additionally, 2118 is still in the fleet, but I am not certain if it is active or not. I saw the rear of it sticking out of the bus bay at Ft. Wright, in the space where the heritage vehicles are usually stored. Will have to do some sightseeing and determine whether or not there are others stored in that space, as the heritage vehicles have been stored outside for a couple of weeks now. ...but appears to be in storage for now (not officially retired yet, as the farebox is still in place). 2108 is in the same situation, but it is being stored in an extra bay in the shop and may have had its fare box removed. 2110 through 2113 are still out and about. 2114 has been retired. It is sitting behind 2107 in the "dead line" which means that I am unable to get a good photo of it for now. 2118 is retired and appears to have had some parts scavenged from it. 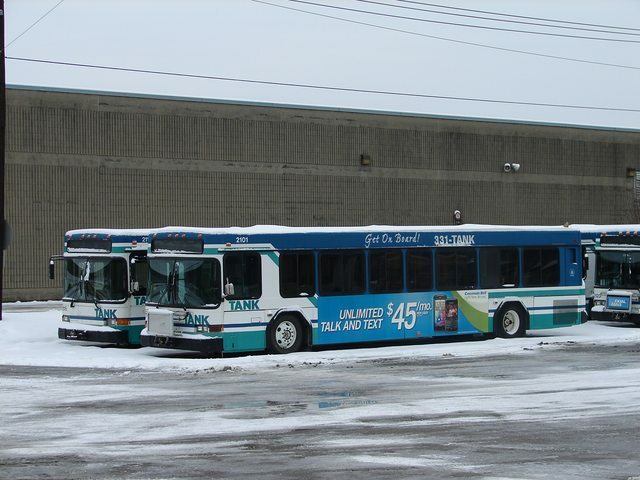 Currently, only two 2000 LFs are left in service: #2111 and #2113. 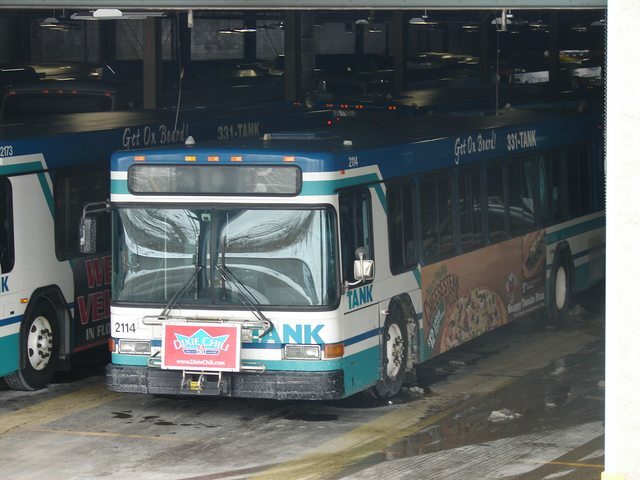 I have not actually seen #2113 on runs recently, but it has also not showed up minus the farebox with the rest of the retirees. 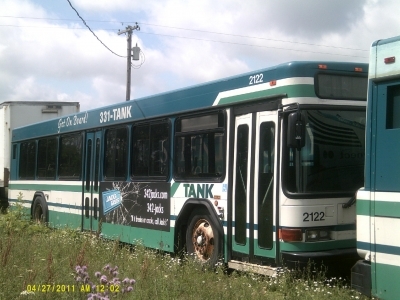 Additionally, TANK has retired #2131, a 2002 LF. These will likely be the next to go when the 2000s are finally all retired - and given that the 2016 models are being prepped quickly, they may even retire one or two more of the 2002s. All 2000 models have been retired since March. 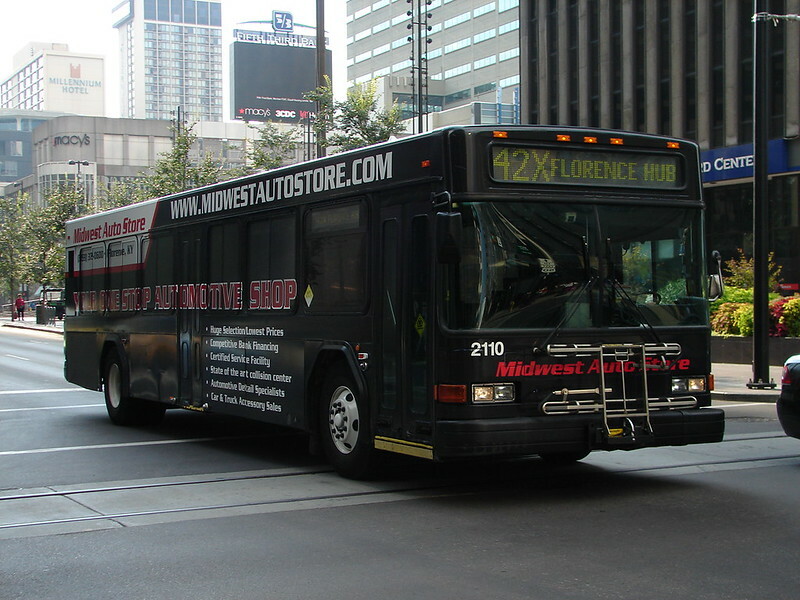 #2111 was the last one left in service. 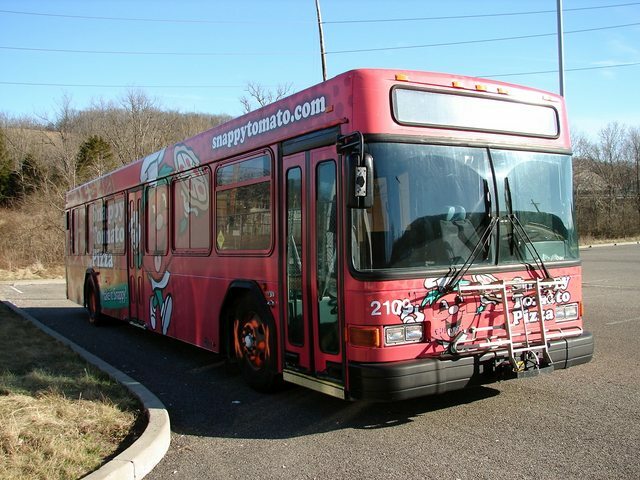 Additionally, 2006 BRT #885, which had been under repair for several months after an accident, is now back on the road. 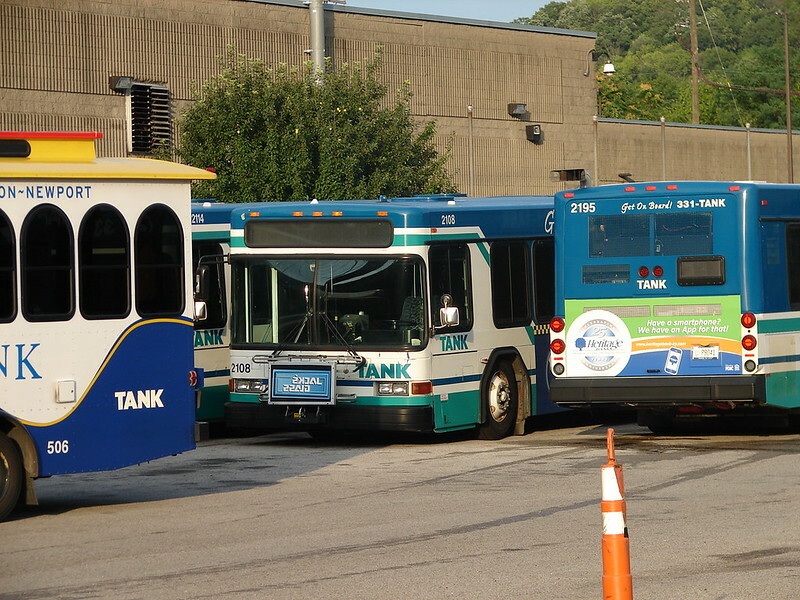 Plaudits to TANK's hardworking maintenance staff for keeping those on the road.